It happens to be boozy, too. You've got a table full of dinner guests, everyone's enjoying and having a great time, and the friend you were counting on to bring over some dessert failed to deliver. What's a good host to do? Make zabaglione, that's what. Zabaglione is a boozy Italian custard made with egg yolks, sugar and sweet wine, but the beauty of this simple dessert is that it works with so many different kinds of alcohol. Got some extra Champagne lying around from earlier in the night? Some sweet rum or some port in the cabinet that could use a little dusting? All of it works, and you can pick your poison based on what you're going to serve the zabaglione with. Food & Wine Senior Food Editor Mary-Frances Heck loves pairing zabaglione made with Marsala, which has a really nutty flavor, with anything chocolate. She'll use Moscato, with its honeyed nose, if she's spooning the custard over fresh fruit. Not only is it a great way to use up extra bottles lying around the house, but it's also forgiving to make. With a basic framework in mind, you can pretty much eyeball it, Heck says. Start with a base of six egg yolks, a pinch of salt, and a half cup of sugar—or "an egg shell's worth of sugar," she says. Add more sugar if the booze you're using isn't that sweet. If you've gone too far, add a drop of lemon juice to level it out. The technique simply requires vigorous beating, in a bowl as you're combining yolks, sugar and wine, and then over a just-simmering saucepan of water for eight or nine minutes to get the custard to come together and triple in size. 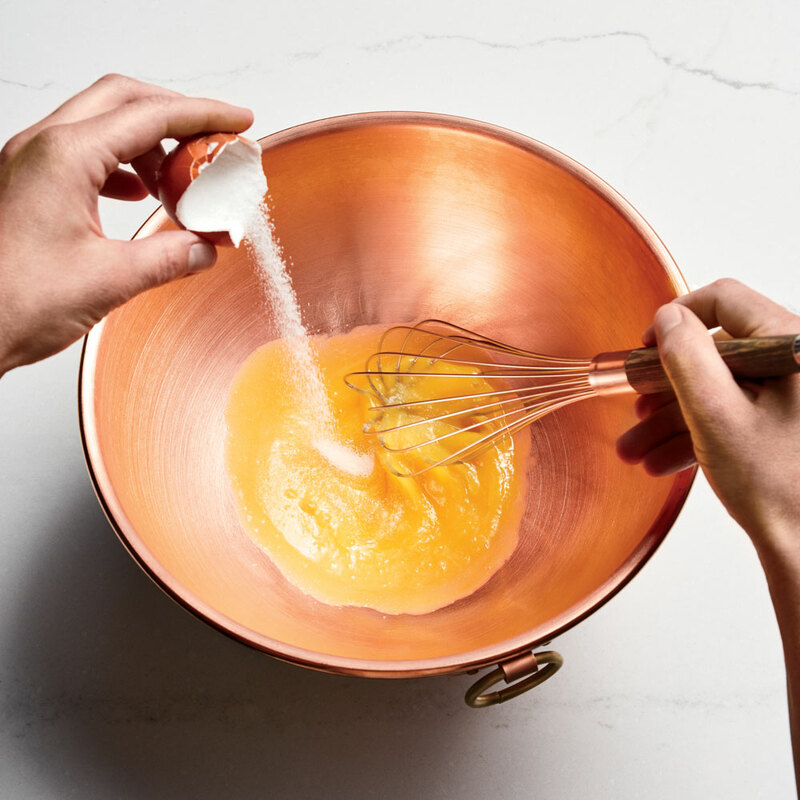 Use a copper bowl if you can, and preferably, for a foolproof zabaglione, an M'Passion Copper Egg White Beating Bowl from Mauviel. "Mauviel's copper conducts heat in a gentle but even way," Heck says, so "you're less likely to scorch or scramble the eggs." It also has a rounded bottom, so there won't be any hot spots. As you're whisking, direct your guests to cut up some fruit or open a box of cookies, and probably uncork another bottle of wine. In less time than it would take for you to deliberate about what to serve, you'll have made a light and delicious dessert for your guests, and an unforgettable impression. 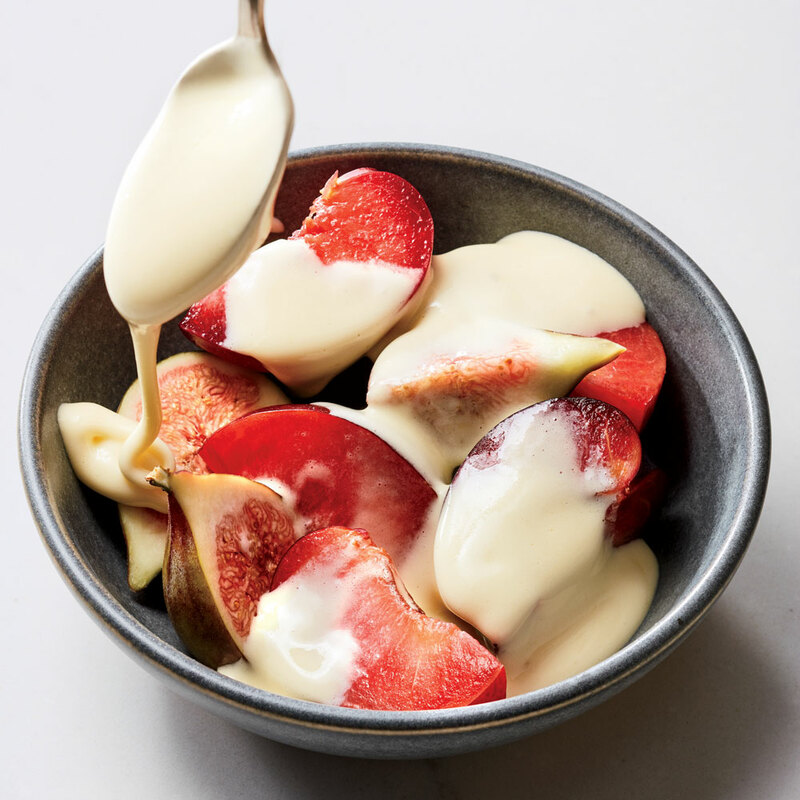 See here for a step-by-step guide on making zabaglione, and here for a recipe to riff on during your next dinner party.